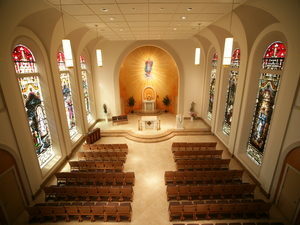 The newly established Center for Catholic Studies at St. Mary’s University seeks to enable faculty and students to explore social policy issues and examine the Catholic Church in society and culture, particularly as it relates to the Southwest region of the nation and its growing Hispanic population in the Church and other Christian religions. Following the 2,000-year path of the Catholic Intellectual Tradition, the Center will approach knowledge through the lens of Catholicism. Its programs and outreach will share opportunities for critical reflection and dialogue on issues concerning the Church and, in particular, the local Hispanic community, representing the variety of different modes of thought as found throughout the University. 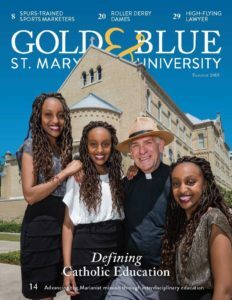 Read more about how St. Mary’s is defining Catholic higher education. Under the direction of the inaugural Beirne Director, the Center for Catholic Studies leads in developing campus cross-curricular conversations and programs, as well as scholarly activities and publications. It is a resource and a place for discourse and dialogue to further integrate the Catholic Intellectual Tradition throughout the institution. 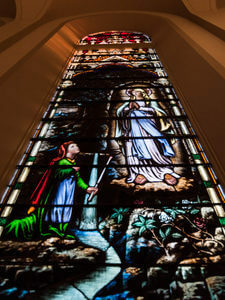 The Center works in concert with various groups and departments across the University, particularly with the recently endowed Chairs in Human Dignity and Catholic Philosophy, to support existing programs that integrate the Marianist heritage of the University campus-wide. Read more about the gift that endowed the Center’s Beirne Director position. As part of University’s commitment to integrating Catholic Intellectual Tradition into all academic arenas, the Center for Catholic Studies works closely with the University’s Bierne Director and related endowed Chairs.